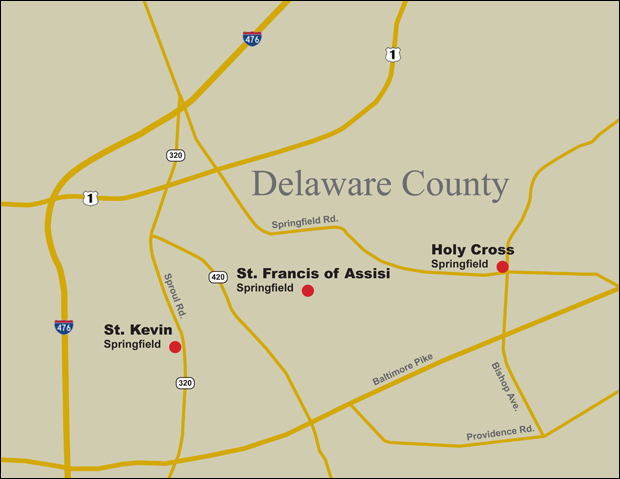 Fourteen parishes in the Archdiocese of Philadelphia will begin the next round of Parish Area Pastoral Planning, the archdiocese announced at parish Masses last weekend in the affected areas of Delaware and Montgomery counties and Philadelphia. 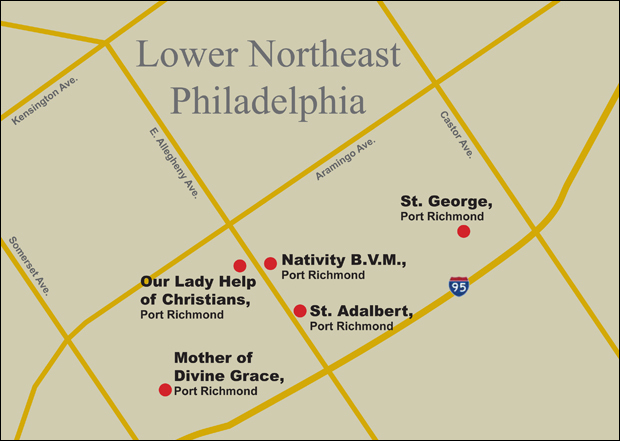 While the planning process has led to dozens of parish mergers since it began four years ago, it is intended to “create and maintain vibrant parish communities” in the archdiocese, according to a news release. The work associated with this round of planning will continue in the next several months, with final results announced in late spring of next year. Every parish in the archdiocese will eventually undergo self-study in the planning process. There are currently 219 parishes in the archdiocese, down from 266 when the initiative began in autumn of 2010. 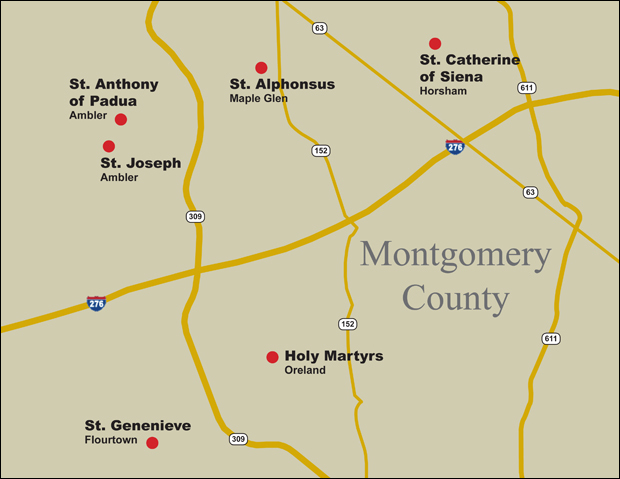 When the new round of study is completed, some of the remaining 125 parishes in 24 Pastoral Planning Areas that have yet to engage in the process will begin to do so after an announcement expected next fall. The work of the process is conducted in multiple stages. Parish pastors in conjunction with parish leadership, parishioners and the Archdiocesan Strategic Planning Committee (ASPC) review information related to demographic, financial and spiritual activity, and after consultation, recommendations are made. Some recommendations may involve parish mergers, or there may be no change in parish structures but would include a plan to assure future sustainability and pastoral vibrancy. Every outcome is based on a combination of factors including demographic shifts in Catholic populations, concentrated density of parishes in a limited geographic area, history of Mass attendance and sacramental activity, increasing economic challenges that threaten sustainability, a decrease in the availability of clergy to staff parishes and a review of facilities. The ASPC, made up of lay persons, priests and archdiocesan personnel, assists all parishes in gauging their viability and engages in dialogue with pastors and parish leadership in providing recommendations. In the majority of cases, the regional bishop and the dean meet with the pastors as well as their pastoral and finance councils to hear their concerns and receive their recommendations. These are brought before the ASPC and the archdiocesan Council of Priests for their observations and recommendations. Input and consultation from all these groups is provided to the archbishop who makes the final decisions.